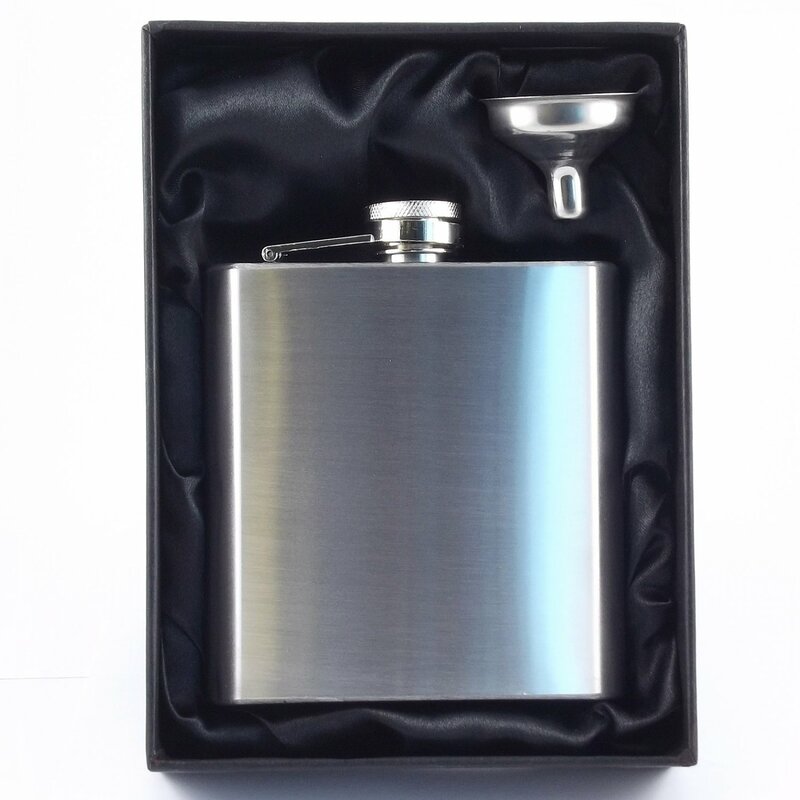 A fantastic 6oz hip flask set with a couple of extra useful features. 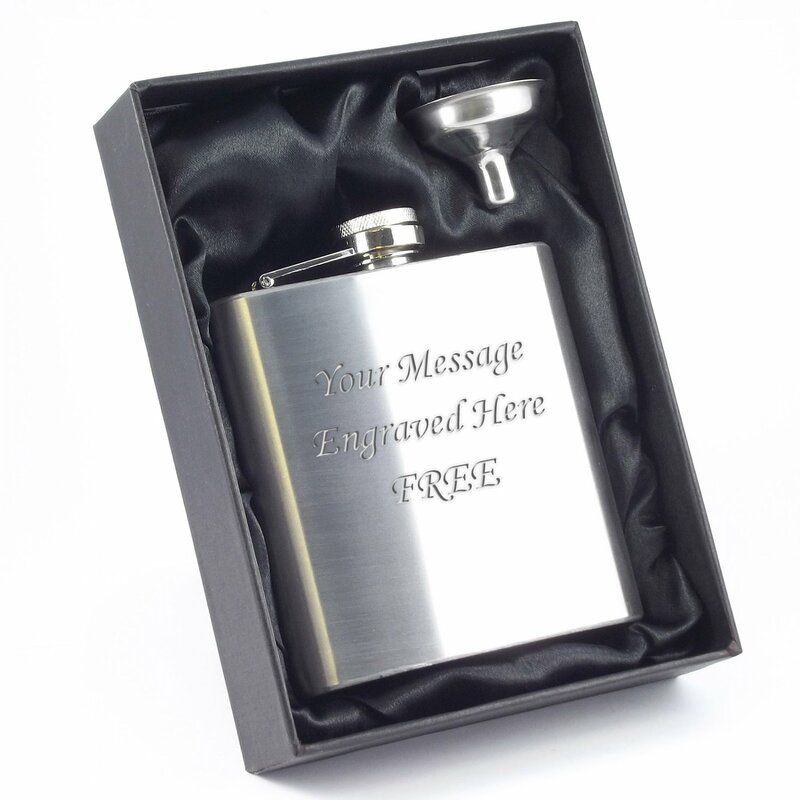 The flask and funnel come in a very attractive black satin lined presentation box - sure to impress whoever receives it as a gift. 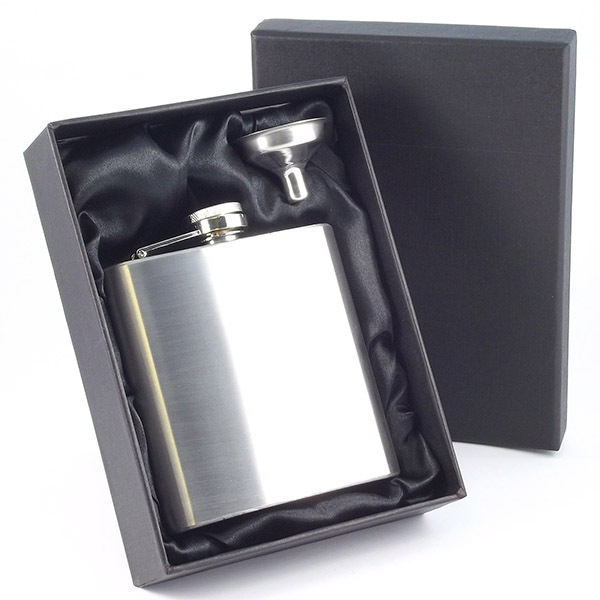 The lid is secured via a hinge so you can't lose it no matter how much you use it.